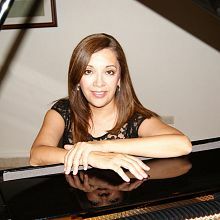 Being educated in a musical environment Mariana Chávez Leal began her studies of piano, cello and singing at 4 years of age. She started her Suzuki training in September 2015, when she joined the Leal Isida Art Center (CALI) as the administrator of the Suzuki Music Education School. She is the event manager of SUZUKI International Festival of Music and Festival CALI Suzuki, festivals held in Monterrey, N.L.Mx. She has executed the Spanish translation of the Dorothy Jones Parent and Teacher Handbook, used in the first ECE Stage 1 training course offered for the first time in Mexico and Latin America in June 2016. Her SECE training began before Mariana started his new stage as a mom with the purpose of contributing to children’s music education in her community.